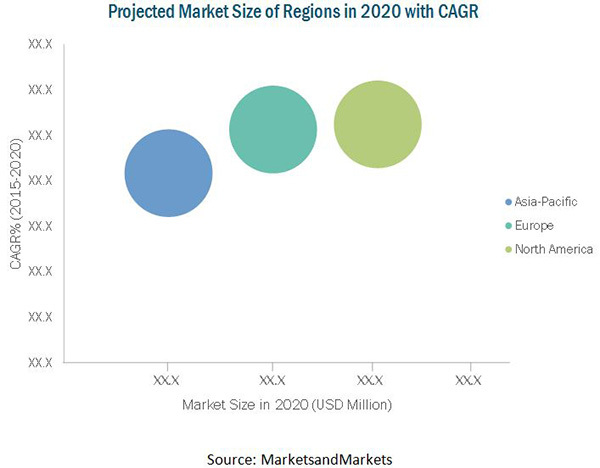 [134 Pages Report] The global micro CHP market is projected to reach USD 4.44 Billion by 2020, and is expected to grow at a CAGR of 14.2% from 2015 to 2020. The need for low carbon emission technologies, easy installation, and cost-effective performance over other low carbon emission technologies are the major factors driving the micro CHP market. Micro CHP technology helps reducing electricity expenses and is also an ideal product for boiler replacement. There are growing attempts across the world to make cost-effective use of existing resources and enable the emergence of a low carbon economy. The demand is mainly driven in the Asia-Pacific region, owing to increasing energy demand in fast growing economies of the region. Governments are allocating funds to micro CHP companies to incentivize the development of modern technologies. Fuel cell-based micro CHPs account for more than 70% of the Asia-Pacific micro CHP market, mainly due to the Eni-Farm scheme prevalent in Japan. For company profiles in the report, 2014 has been considered as the base year. However, where information is unavailable for base year, the previous year has been considered. 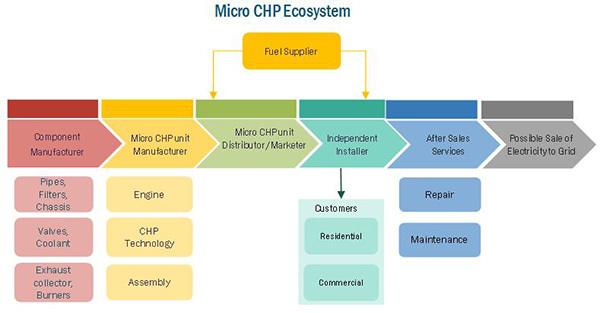 The micro CHP ecosystem starts with the component manufacturer. There could be a single manufacturer who produces both micro CHP unit as well as components (such as Hexis AG) or more than one manufacturer, who collaborate to manufacture together (such as components from Plug Power and Valliant micro CHP assembly). The ecosystem ahead of this is comprised of micro CHP unit distributors, installers/ assemblers, fuel suppliers, and after sales service providers. This part of the chain provides the micro CHP unit from manufacturer to the end consumer. The entities involved in activities post the production of micro CHP also play a key role in ecosystem, as installation of micro CHP requires specialized training. The global micro CHP market is projected to grow at a CAGR of 14.2% during the forecast period, to reach USD 4.44 Billion by 2020. This growth is attributed to high energy efficiency, which is achieved by converting primary energy to heat and electricity at the end-user level. Micro CHP units have the potential to reduce CO2 emissions that reduces energy consumption as compared to the conventional boiler, which draws electricity from the grid. Hence, since the last few decades, these units are considered as a boiler replacement technology. 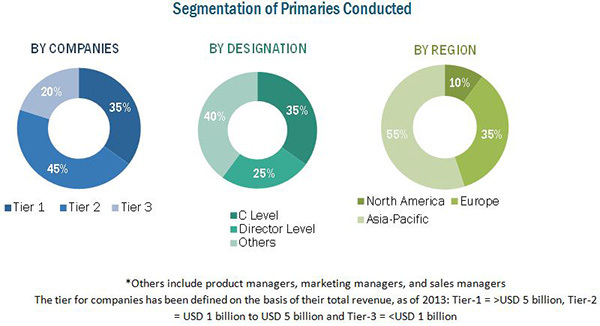 The report segments the micro CHP market on the basis of type, major technologies, and applications. Since micro CHP refers to units in the electrical output range of 0 kW to 5 kW, its applications are restricted to smaller sized buildings. As a result, the main application of micro CHP is in residential and commercial areas. Residential application of micro CHP units is in single family and multi-family homes, which tend to buy 1 kW to 5 kW units. Residential application holds largest share in micro CHP market, however, in recent months more attention is being paid to the commercial establishments with low power consumption, such as retail stores, laundries, and offices among others, which are expected to grow at the fastest rate during the forecast period. On the basis of type, micro CHP units are divided into engine-based (internal combustion engine, stirling engine, and rankine cycle engine) and fuel cell-based systems. Newer technologies fuel cell-based micro CHP systems, PEMFC (Proton Exchange Membrane Fuel Cell), and SOFC (Solid Fuel Cell), are the fastest growing segment by type for the micro CHP market. Globally, field trials and government supported projects for fuel cells in the residential segment are increasing, which demands more electricity for space and water heating. Since, fuel cell-based micro CHP systems provide more flexibility in electrical output than conventional engine-based systems, fuel cell-based units are expected to grow at a faster rate during the forecast period. The Asia-Pacific is the biggest market for fuel cell-based micro CHP. Asia-Pacific has been the leading market for micro CHP in 2014 with increasing awareness of the impact of human activities on the environment and fluctuating prices of traditional fuels used for power and heat generation. Japan leads the Asia-Pacific micro CHP market. Japan is a promising market as it is a leader in fuel cell technology development, driven by the Ene-Farm program, a fuel cell commercialization program. Some of the leading players in the micro CHP market include Honda Power (Japan), Vaillant Group (Germany), Viessmann Group (Germany), Ceres Power Holdings Plc (U.K.), Yanmar Holdings Co. Ltd. (Japan), BDR Thermea Group (Netherlands), Dantherm Power (Denmark), and Solid Power (Denmark) among others. Contracts & agreements was the most commonly used strategy by top players in the market, constituting more than one-third of the total developments share. It was followed by new product development, expansions, and mergers & acquisitions. 12.5 Yanmar Holdings Co. Ltd.